Michigan's no-fault law includes a coverage often referred to as limited property damage, which is the coverage used for a mini tort claim. According to Michigan's no-fault law everyone's own insurance covers them. A mini tort claim is a built-in loophole for getting some coverage out of an at-fault driver's insurance policy. The vehicle driven by the non-at-fault driver must be damaged physically. The vehicle driven by the non-at-fault driver must be insured. The at-fault driver must be known. If a non-at-fault driver is hit and the at-fault driver runs, no coverage is provided by a mini tort because the coverage comes from the at-fault driver's car insurance policy. The insured vehicle has no collision coverage listed on its car insurance policy. The insured vehicle has standard collision requiring a deductible, listed on its car insurance policy. A $1000 payout is the most you can be paid under the mini tort law. A mini tort claim does not extend any coverage for injuries. 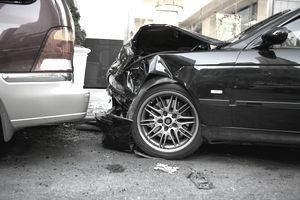 Michigan has a separate coverage called personal injury protection on car insurance policies specifically for injuries. Mini tort only covers for damage to a vehicle and will not apply to a medical deductible. To receive the full $1000 mini tort claim, you must provide a body shop estimate. The estimate must show $1000 in damages or more. Limited property damage protects you against a mini tort claim. It provides a $1000 limited payout for damaged property of another vehicle after a collision. So long as you have an active insurance policy with limited property damage, you cannot be sued for damages to another person's vehicle after a collision in the state of Michigan. Mini tort breaks down into three stages for an at fault insured driver in the state of Michigan. Non-insured motorist have no protection against mini tort claims. The law is different for non-insured drivers, in that it is possible to be sued for the full amount of damage done to another vehicle in a collision. The $1000 limit does not apply to an uninsured at-fault driver in the state of Michigan. Michigan's no-fault law makes it a difficult decision to remove collision coverage from your car insurance policy. Without collision coverage, Michigan driver's can only receive a maximum of $1000 when in a collision. It is frustrating for many drivers because you can only control your own actions. Many times actions of other drivers are unavoidable. The mini tort helps somewhat in an accident but it often doesn't come close to repairing all of the damages for drivers without collision coverage on their vehicles.